At the front of a packed room in Pettengill Hall, Matthew Jadud projected a century-old photograph of a partly built Gomes Chapel. Builders and stonemasons stood among the rough-hewn wood scaffolding, taking a break from laying the stones that now constitute a Bates landmark. 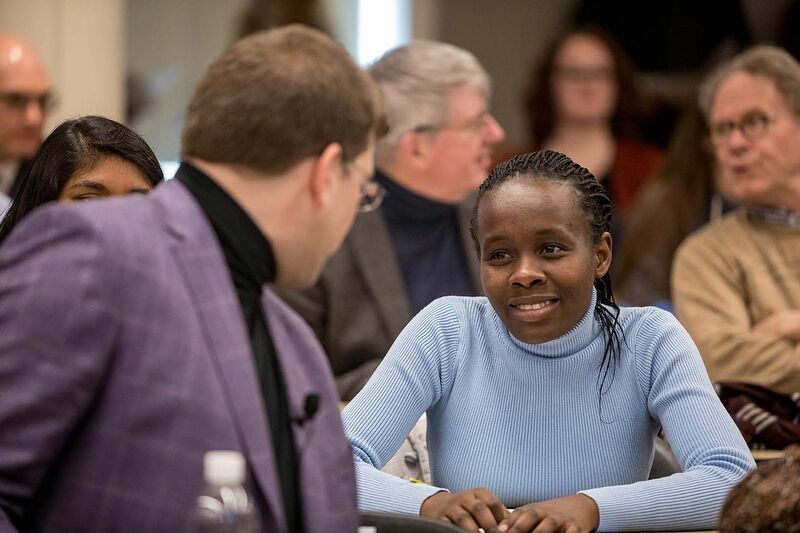 “We have built the scaffolding, and we are laying the stone,” Jadud said, describing the process of creating the college’s Program in Digital and Computational Studies, Bates’ newest academic initiative. Delivering his lecture on March 21 as the inaugural holder of the Colony Family Professorship in Digital and Computational Studies, Jadud offered a vision for an ambitious and inclusive DCS program that “incorporates opportunities for all our students, no matter where they come from, who they are, or what they want to be. Much has already been done to build the foundation of DCS, a program designed to teach students not only the intricacies of coding and programming, but also how to think about the intersection of computing and the liberal arts, and the relationship between technology and the human condition. Welcoming the lecture audience, Bates President Clayton Spencer spoke about the early discussions with the Bates family that would eventually fund the new professorship: George Colony and his wife, Ann Colony, who are parents of Bates alumni William ’12 and Charles ’17. When Spencer floated the idea of a computer science program, George Colony had pointed questions — would such a program would be a “straight” computer science major or something that could engage a variety of fields? How could Bates attract faculty? — helped reveal the potential of building a computation program from the ground up. “What we felt as a gap was actually a huge opportunity to design a new kind of digital and computation program rooted in the liberal arts, deeply interdisciplinary, and committed to the principles of inclusion and equity at the heart of the curriculum and pedagogy,” Spencer said. 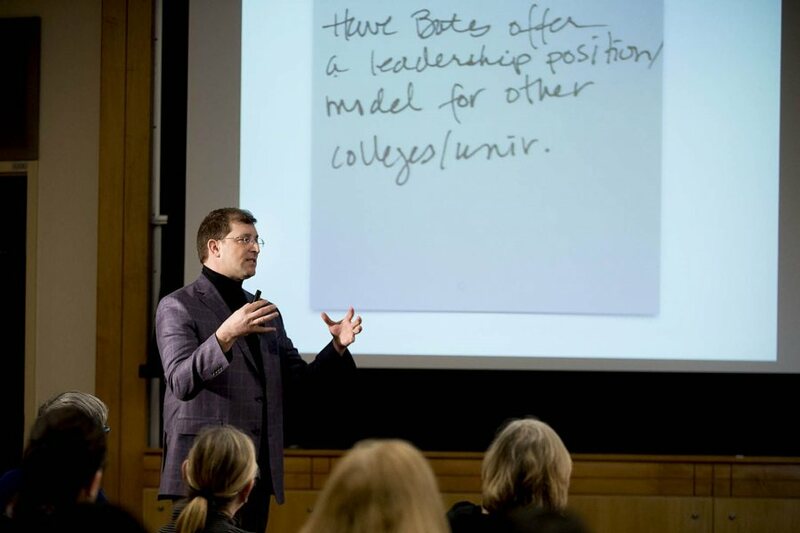 Over the next two years, Bates faculty and administrators from a range of fields conceptualized an inclusive and interdisciplinary Digital and Computational Studies program. 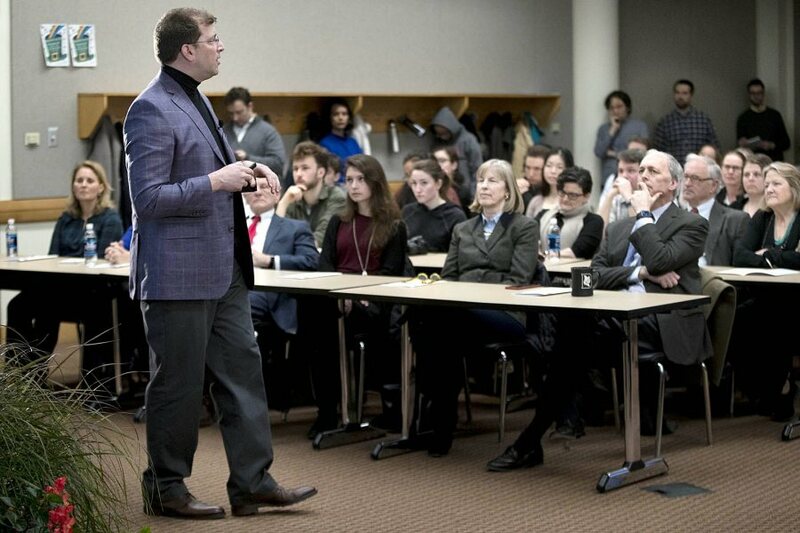 As part of The Bates Campaign, the Colony family pledged $3 million to endow the program’s first professorship. “Without George’s early questions, I’m not sure we would have pursued the kind of careful, strategic, and creative process of program design that has led us here today,” Spencer said. As the professorship’s first holder, Jadud is perfectly suited to be at the helm of such a distinctive computing program. 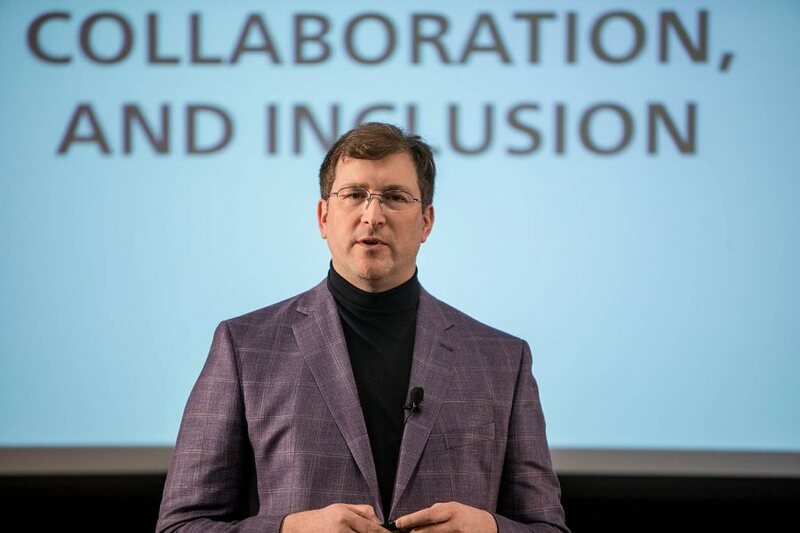 He previously taught in a liberal arts environment at the socially conscious Berea College in Kentucky, and he specializes in computer science pedagogy, tackling questions of teaching, learning, access, and inclusion in technological fields. Scaffolding in place, Jadud spent his first semester at Bates inviting the community to join the work to build the program. He went on a listening tour of students, faculty, and staff, recording on hundreds of sticky notes what they wanted out of DCS. Their answers were ambitious: Bates should be a model for other computer science programs. Introductory courses should be available to students in all majors. Values established, Jadud, his colleagues, and his students went about laying the stones. Jadud taught an introductory programming course and, at his students’ request, is now teaching a follow-up. With interdisciplinarity in mind, a hiring committee has brought on board two new professors to teach in the program, one specializing in digital humanities and the other in computational mathematics. 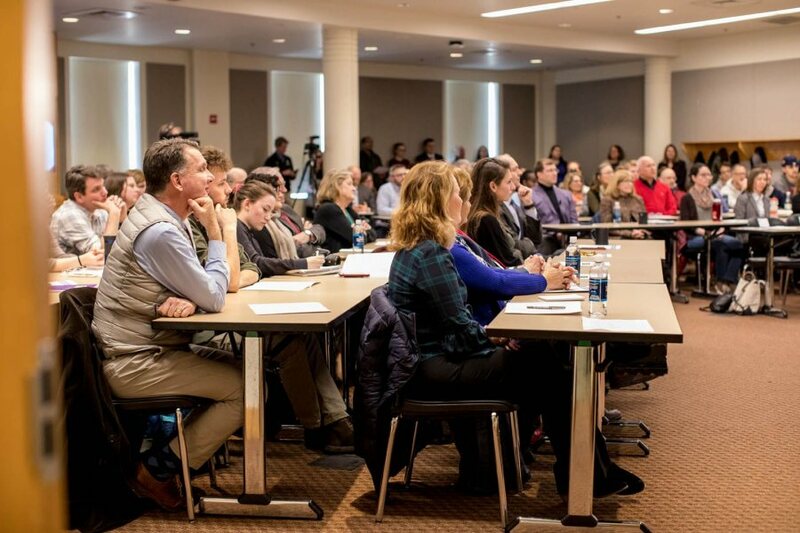 “To be able to cover as much of the liberal arts as we can is going to be a very powerful message for our students and create a large surface for collaboration and interaction across programs and departments at Bates,” Jadud said. Bates got a first taste of that collaboration this winter, when Jadud’s programming course teamed up with the dance and music departments to create performance pieces. DCS students attached sensors to dancers’ bodies that sent data to musical composition software. The dancers’ movements literally created the music they danced to. “We had over 50 students working together — six choreographers, about 18 students in music and 30 students in DCS collaborated across these courses, which was itself a powerful learning experience,” Jadud said. Another stone — a complete curriculum — is as yet unlaid. A DCS student would probably take a course on design thinking: “How to work effectively with others, how to see ourselves in relation to others and the world, and how to see ourselves being successful and laying a foundation in the study of computation,” Jadud speculated. A sequence of programming courses might follow. A curriculum could also include courses drawn from other fields — data science informed by economics and mathematics, or digital humanities informed by art or English. DCS could also be engaged, Jadud said, with communities both nearby and around the world. Partnerships with the Harward Center and local public schools, for example, could put DCS students in classrooms working with teachers, giving the young students an exposure to computation that could serve them well in college. “I am very excited about the possibility, as we come together, of doing some transformative work that I hope might become a model,” Jadud said. After spending decades in chemistry labs, Dennis Keith credits his wife, Jo-Linda, with creating their formula for meaningful philanthropy. 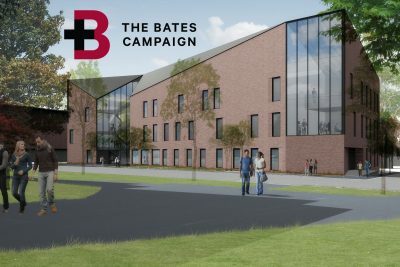 Commitments to the college exceeded $190 million in the first public year of the Bates Campaign. 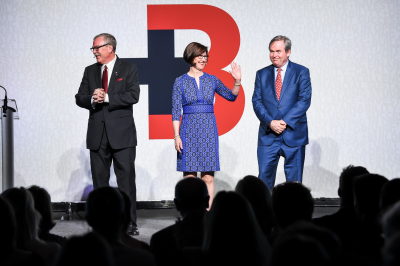 Co-chaired by Michael W. Bonney ’80, Geraldine M. FitzGerald ’75, and John D….